We have a few television evangelists on late night television here, mostly Brazilian programs dubbed into Spanish, but none with the bling and pizzaz of the US evangelists… who — I’ve always found it ironic — owe much of their over the top sartorial style to the original television preacher, Fulton J. Sheen. As a Roman Catholic Bishop of the pre-Vatican II days, the robes and regalia came with the job, but — with his miraculaously plummy mid-Atlantic accent (with more than a hint of his native Illinois tossed in) was the first, and longest lasting of the nationally known television preachers. He got his start on radio in 1930, moving on to television in the early 1950s, only disappearing from the nation’s airwaves in 1968, a year after he publicly announced his opposition to the US War in Vietnam. But, until the late 1960s, Sheen was the public face (or voice before the 50s) of American Catholicism and is, in largely responsible for the change in attitude within the United States towards Catholics, who had been seen as a strange, and alien, minority of dubious loyalty. When Sheen began on radio, there was another Catholic priest on the national airwaves, who did push a “strange, alien” philosophy, but one that threatened to become americanized. I mean of course, the Canadian priest, Charles Coughlin, who — broadcasting from a Detroit suburb — was an open anti-Semite and cheerleader for Hitler and Mussolini before being forced off the air in 1939. Meanwhile… south of the border…. As Coughlin was spreading Nazi propaganda to an estimated 3 million listeners in the United States, a Catholic-Fascist movement in Mexico had mounted a serious challenge to the then Socialist government. Saturnino Cedillo, who had made his mark by fighting the Catholic counter-revolutionary Cristeros in the late 1920s, had become the “caudillo” of San Luis Potosí. Although a strong Calles supporter, and an agrarian reformer (he’d defeated the Cristeros mostly by the simple expedient of sending arming landless farmers and promising them land taken from the Cristero leaders, who had, for the most part, been the large landowners in the Bajio), Cedillo had provided refuge to the die-hard Cristeros, as they were discovering Fascism (especially the Francisco Franco version) fit nicely into their own ideals for a “Hispanic” state.. authoritarian, capitalist, and with a rigid social class structure… and, above all, obedient to the dictates of the Church. Cedillo, with the sinarchists (“with stucture”) leaders, and hefty financing from the German embassy, launched the last full scale military attempt to overthrow the post.Revolutionary government, forcing Cardenas himself to take to the field… the last Mexican president to do so (never mind Felipe Calderon’s photo-op battle dress during the “drug war”). The sinarchists, led by Carlos Abascal, still had a sizable following, even after Cedillo was killed, and his attempted counter-revolution collapsed in 1939. Inching ever closer to open Nazism, they were little satisfied that the socialist Cardenas was succeeded in 1940 by the “believer” and relatively conservative Manuel Ávila Camacho. 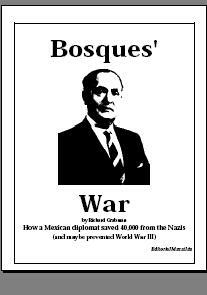 Camacho was not about to reverse Mexico’s openly anti-fascist policies, and … with Britain and the United States willing to put aside their greivances over the oil expropriation in 1938 at least for the duration of the war already being fought against the Nazis by Britain, and as was obvious to everyone, soon to be joined by the United States, the last thing the Mexican government, or the United States, wanted was a “fifth column” in Mexico. Despite his social conservatism and private beliefs, Avila Camacho and his government increasingly put pressure on the sinarchists. Sensing the growing oppression, Abascal took what seems to be a leaf from the early New England Separatists. He lobbied the government for land for a dissident colony. If you can’t beat ’em… flee ’em, I guess. With perhaps a sense of irony, Avila Camacho found the sinarchists land in Baja Sur California. At the time, it was only a territory, governed by the militant socialist anti-clerical atheist, Francisco José Múgica. So.. Abascal gathered together about 500 die-hards, heiled the Virgin Mary (literally… the colonists united in the Guadalajara Cathedral to swear to the Virgin their loyalty with raised “heil Hitler” type salures), and headed to Mazatlán for ships to take them to their shining city on a hill — or, rather, a rusty, overcrowded ferry anyway, that managed to take about 500 of them, stranding the no one know how many more back in the “pearl of the Pacific”. The María Auxiladora colony came ashore, promising to abide by Abascal’s rules, which included, among other things, the requirement that one great one’s neighbors, “Hail Mary, full of grace”, which had to be answered “conceived without sin” along with eschewing shellfish (the easiest to obtain food in the Baja), stay at home (travel for pleasure was a “sin”) and only sell their agricultural produce on the local market. Which there wasn’t. Nor the water to even grow produce. Abascal was sinking more and more money into the project, which might have been fine, except it wasn’t his money. He was also contacting the Japanese Navy about the possibility of their establishing a base at the colony.. something that might cause a bit of friction with the United States, especially after what happened on December 7th of 1941. Even before Mexico openly joined the Allied cause in May 1942 (after Mexican ships were sunk by German U-boats), Abascal’s colony was clearly a danger to the state. 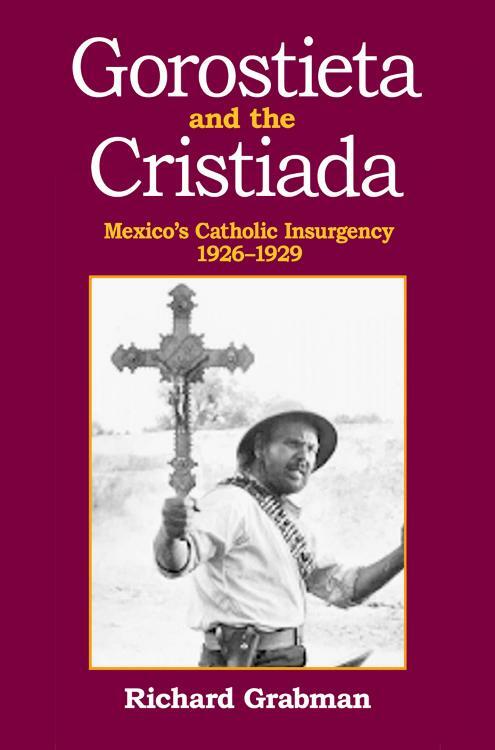 But, given pro-German sentiment and open admiration for Franco’s Spain by the sinarchists … and the disastrous Cristero War still fresh in the memory of the miltiary and Church hierarchy… the least palatable option was a military one. As it was, other sinarchist leaders, who’d cottoned on to how much money Abascal was costing them, and that Hitler was not exactly a good Catholic, nor was Mussolini, in order to survive as a political force (they would be largely absorbed by the conservative PAN party) were redefining their organization as one that defended “traditional values” a la Mexicana, not one that depended on models from Spain or Germany. While Franco’s Spain had managed to combine nationalism, conservationism and Catholicism it had only been through winning a war. In the anti-clerical Mexican state, even with a socially conservative President, there was no way sinarchism was going to become state ideology. Abascal changed his tactics, arguing that his colony could act as a militia to prevent the Japanese from landing, while at the same time, keeping Mexico out of the US military orbit, and the dread influence of English-speaking Protestants. The government didn’t think much of the idea of a few hundred half-starved unsuccessful farmers would be no match for Admiral Yamamoto. And, the Church hierarchy, having achieved something of a modus viviendi with the state was wary of any close relationship to Abascal. With the Bishops, the Mexican government, and the Roosevelt Administration all wanting to neutralize the sinarchists and possible pro-fascist movements in Mexico, and even some of the sinarchist leaders wanting to lessen their dependence on what they saw as “materialist” ideology, the nearest model at hand was to the north… where, Catholics, and conservative Catholics at that, in a traditionally anti-Catholic society, had been able to enter the elite, and, in some sense, shape public policy. A compromise, perhaps, but a necessary one if sinarchism was to survive. The sinarchists continued to argue among themselves, some pro-Falagist (supporting Franco, but neutral in the war effort), some looking to the Catholic Church in the United States as a model for moving forward, and a dwindling number still betting on Hitler. Then came Stalingrad. Even the most obtuse sinarchist, in the back of the beyond of Baja California Sur, could see the Nazis were done for. It’s very possible that Avila Camacho and Franklin Roosevelt … both of whom were sensing victory for the Allies and wanted to expand Mexico’s contribution to the war effort, took personal action. Someone, somewhere, suggested to Sheen”s superior, Cardinal Richard Spellman of New York, the popular radio priest, part of whose job description had been to lure Catholics back from the Fascist Coughlin, or at least neutralize his influence, to speak with the sinarchists. Ostensibly, attending a theological conference in Hidalgo, Sheen met with the moderate sinarchists (if “moderate” can be used for a far-right political/religious movement) to convince them to cut their dependence on funding from Spanish sources, and turn to conservative, but loyal to America sources like the Knights of Columbus and — like himself — stick to propaganda and lobbying the power elite. Sheen’s still murky mission was largely successful. Abascal found his funding cut off (and, being sued by several of his backers, ended up bankrupt, spending the rest of his life with his “empire” reduced to a high-end men’s clothing shop in Mexico City), Governor Mujica — who wasn’t heartless — built a road to Maria Auxiladora, partly to send relief supplies, but mostly so the colonists could get out (and maybe enjoy a shellfish dinner), the less fanatical sinarchists becoming the “piety wing” of PAN, the others becoming less and less relevant, and the Knights of Colombus, which perhaps was pulled futher to the right by its association with the sinarchists, proposing Abascal for sainthood. Oh.,,, and Fulton Sheen went on to win an Emmy, and Mexico to win the War Against Nazifascism. Gutiérrez Vega, Hugo. “Falange y sinarquismo en Baja California“, Jornada Seminal, 9 June 2013. Mejía Madrid, Fabrizio. “Mexicanos extranjeros“, Proceso, 17 March 2019. “La Unión Nacional Sinarquista de México: Las peleas faccionales dentro del sinarquismo“, Instituto Schiller. Stickler for details – It’s “Ave María purissima” – “Hail Mary, most pure” rather than full of grace.